Second release from the Stilll Label with a clear electronica tedency ! Off The Sky "It is impossible to say just what I mean", a line in T.S. Eliot' s poem "The love Song of J. Alfred Prufrock", fits apropos as title-to-idea for the artists on-going struggle to transcend innate social limitations. 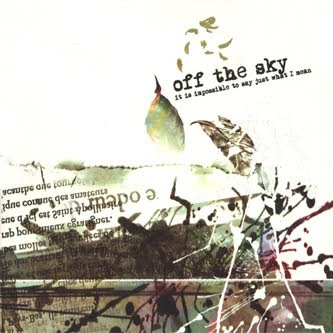 And in the process of completing this album, Off The Sky (Kentucky based Jason Corder) successfully crossed many boundaries through working with countless musicians to form a diverse sound. "It is impossible to say just what I mean" deftly fuses atmospheric-electronic sensation with heart-felt, post-rock melodies that exists truly as a work of poetry in motion.